From beginning to end, this timely volume bridges the interdisciplinary gap between medicine and nanoscience technology as it applies to biomedical applications. Dr. Tibbals does a superb job of explaining exactly how nanoscale materials and approaches can and are making a difference in the healthcare field. For instance, pointing out that the size regime of 10 nm-100 nm is in the ideal range for nanoparticles that can be extracted by blood without clogging capillaries or being trapped in certain organs is an excellent example of explaining a simple physical concept with human physiological impact that both physicists and doctors can relate to. The author demonstrates deep, broad and expert knowledge of many areas of nanomedicine while making the understanding of key concepts accessible without resorting to opaque language or heavy equations. The approach of this complex subject is rather holistic, as Dr. Tibbals even goes through a brief history of nanomedicine, societal implications and emerging initiatives that can give some further investigative directions for the interested reader. He also discusses particularly exciting subjects such as tissue regeneration and replacement and they are given an impressive amount of coverage. The implications for healing are very promising and lend optimism that revolutionary medical techniques can be both affordable and accessible now and in the near future. Bear in mind, this publication is more of a general survey than a hard reference book or core university textbook, but I feel it belongs on the shelf of any doctor or aspiring biomedical engineer who needs an executive summary of the state of nanotechnology with respect to medicine. 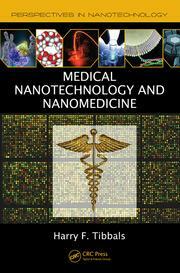 This entry was posted in Biomaterials / Nanomedicine / Bionanotechnology, Nanotechnology Books on March 2, 2014 by Joel-Anthony Gray.